Bill Ford, executive chairman of Ford and great-great grandson of Henry Ford, stands at the Ford Homestead in Co. Cork. William Clay Ford, Jr. Ford executive chairman and Irish America Hall of Fame inductee, traveled to County Cork to pay tribute to the centenary of the first Ford plant in Ireland. 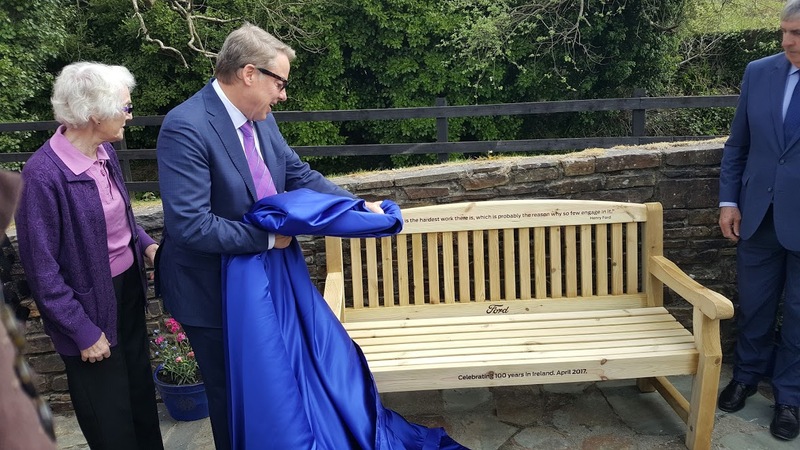 William Clay Ford, Jr. the great-great grandson of Irish American automobile pioneer Henry Ford, unveiled a plaque and bench in Ballinascarthy, Ireland on April 20 to commemorate 100 years of Ford in the country. The unveiling took place in the center of Ballinascarthy, a small village 25 miles from Cork city, Ireland, from where Henry Ford’s father, William Ford, and his family emigrated to the U.S. in 1847. The family settled in Michigan, where Henry Ford was born in 1863. 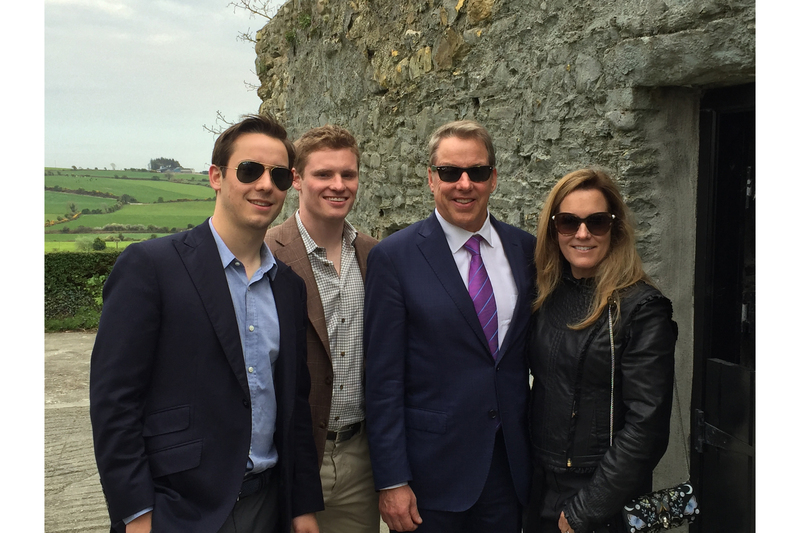 Bill Ford and family visit homestead. During his visit, Ford also participated in a civic reception at Cork City Hall with 300 current and former Ford employees, hosted by the Lord Mayor of Cork City, at which the contribution of employees of Henry Ford & Son Limited during the past 100 years will be recognized. 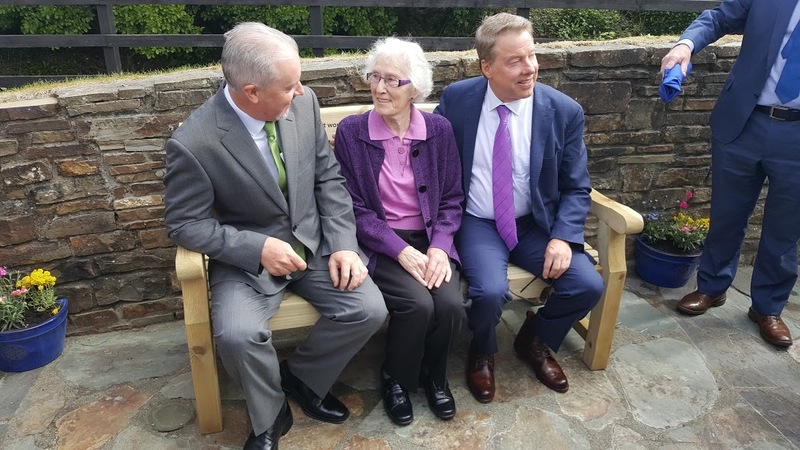 Bill Ford and distant relative Hazel Ford Buttimer reveal the commemorative bench. Bill Ford, Hazel Ford Buttimer and Ciarán McMahon, managing director of Ford Ireland. To read Irish America editor-in-chief Patricia Harty’s interview with Ford from our 2012 Business 100 issue, click here.